What are the benefits of outsourcing workforce management? Whatever size of business you have, managing the workforce is something that has to be done. More importantly, it has to be done promptly and correctly to avoid expensive mistakes for your business or disgruntled staff. The issue for many business owners, though, is that tasks such as processing payroll and recording hours worked are ones for which they simply don’t have time. This can be especially true for small to medium-sized businesses that do not have the resources to manage it all themselves. One great way to reduce the stress that workforce management brings and get it done properly is to outsource it to a trusted external provider. How can outsourcing workforce management help your business? More time on core business –the chances are at the moment that you manage the workforce yourself as an addition to your main role. This eats into the time that you could be spending on your core business and with clients. By outsourcing your workforce management tasks, you get back this time to grow your business. Reduce costs –by choosing to outsource your workforce management, you are taking steps to reduce business costs. It is much more cost-effective to outsource this part of your business, rather than having to employ a team of back-office staff full-time to look after it. One-stop solution for payments –if you are using contractors and temporary workers regularly, then processing payroll and getting them paid can be complicated. This is not even mentioning the calculations around their wages and any returns to HMRC that are needed. A good external outsourcing company will act like a contractor accountant to take care of all the financial tasks for you. Helps you to stay compliant –the rules and regulations around workforce management are constantly changing. This is especially true when it comes to tax and the details that are given to HMRC as regards your payroll. For businesses, staying on top of this is hard and can sometimes lead to expensive mistakes. Outsourcing your workforce management to dedicated professionals will avoid this. 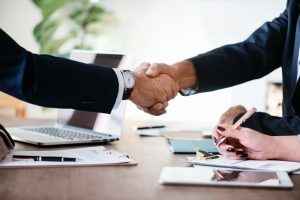 Impartial third-party help–another great advantage of using outsourced management for your workforce is that it provides an impartial third party if there are any disputes with workers. This is especially useful if there are queries over pay or the amount of tax paid by a contractor or individual worker. Compared to sorting it all out yourself, this saves a lot of time and hassle. If you run a busy business, then outsourcing this part of your company can make perfect sense. Not only will it help you to focus on what you do best, but it will also cut costs and make it all so much simpler. Compared to having to do it all yourself or employ a team of administration staff, there really is no question as to which is best.